If you are a developer and you are in hell, read this. Tech advise for the entrepreneur. Waste is something that we rarely see in nature. One of our projects at RISD was an interdisciplinary exploration of a Superfund Site in Ramapo, NY. In this project, the aim was to take it's constituent parts, and integrate them in a way that would mimic natural systems. There were many modules to this project, and the ones that I addressed dealt with the existing elements on the site that were polluting the surrounding area. These mainly included the existing (but no longer productive) landfill, and the Materials Recycling Facility (MRF), both of which were leaching volatile organic compounds (VOCs) into the water table, and poisoning the local well water. 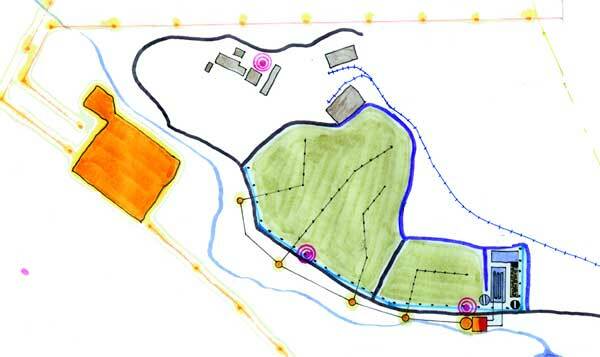 The first step in the system was to re-design the Materials Recycling Facility (MRF) to take the organic matter (woodchips, shrubs, etc) that it processes from local development through a pyrolitic process (extreme heat in an anoxic environment) to produce heating oil, and charcoal byproducts. Both of these byproducts would get recycled in the last part of this system. 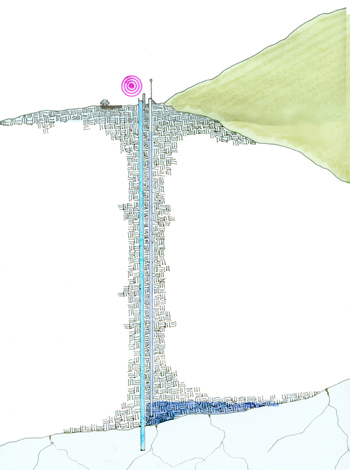 Next, I designed a 'slurry wall' that would extend for the entire 'downstream' perimeter of the landfill. This slurry wall would both prevent contamination of the water table and local wells, and it would also capture the water for reuse in the process. The last step was intended to reignite the natural processes in the existing landfill by aerating the recovered water from the slurry wall, and pumping it back into the landfill. Landfills generally go 'dormant' after 20 years due to a lack of available oxygen to fuel aerobic decomposition. By pumping aerated water back into the system, the object was to 'shrink' the landfill by encouraging aerobic decomposition and to produce methane which would be used to power the electrical systems on site. 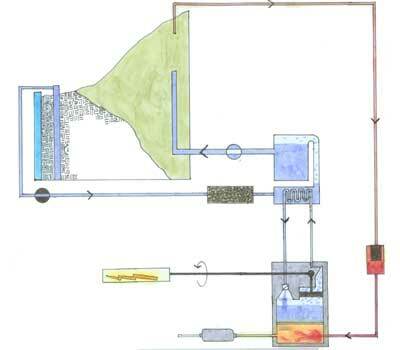 As illustrated in the diagram below, the water would then be cleaned using the charcoal produced at the MRF, and then heated using the heating oil produced at the MRF. At the end, the oxygenated water is pumped back into the landfill. As is often the case with these sorts of things, if you don't design an educational mechanism for the public, you aren't taking full advantage of the opportunity. 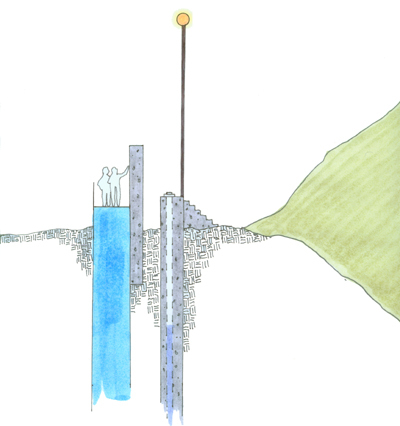 Below is a drawing from the perimeter slurry wall that would be converted, in a very catholic way, to a 'stages of the system/cross' type of display that would lead visitors through the processes in use. You can and will make a difference today. The Hologram is on your side, and wants you to succeed. You are accountable to the wise and ancient spirit of humanity. Become an advocate today for someone who needs one. how to identify hemorrhages or leaks of resources + information and plug them. Contact me, and ask me about how I can help you personally or your organization! What does the Flux Capacitor in our bodies look like? Re-visioning the TCM 'Channels' and their function in the human body.